The first round of MTYBA’s Annual Advocacy Competition. For details and to sign up, see our Advocacy page. The final of MTYBA’s Annual Advocacy Competition. For details and to sign up, see our Advocacy page. 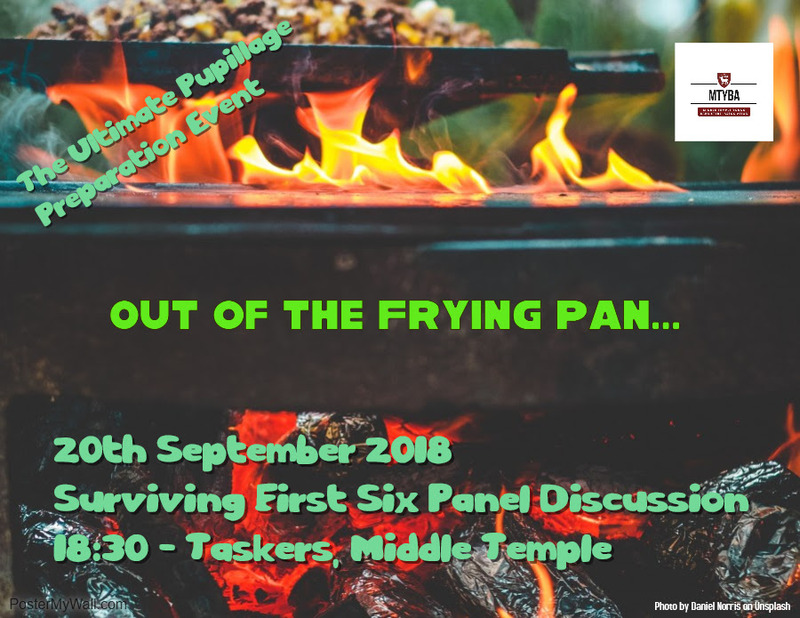 Join us for a Q&A with a number of recent tenants on the best way to survive and succeed in your second six. 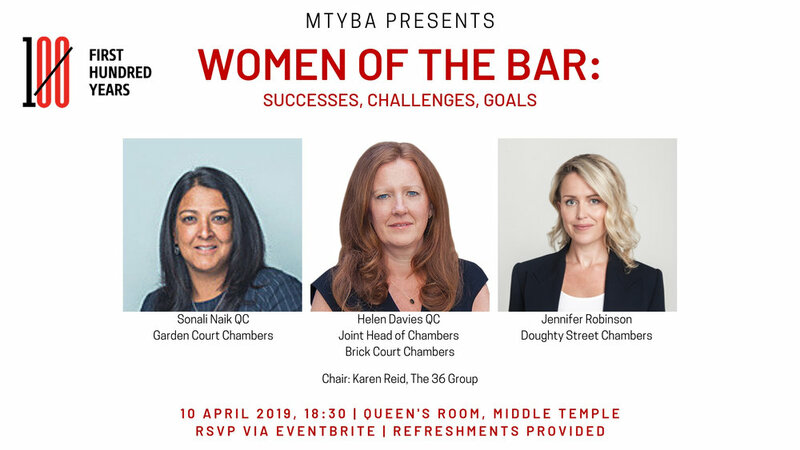 The event will be held under Chatham House rules and alcoholic (and non-alcoholic) beverages will be provided, so its a great opportunity to get a "warts and all" account of what to expect for the next six months. 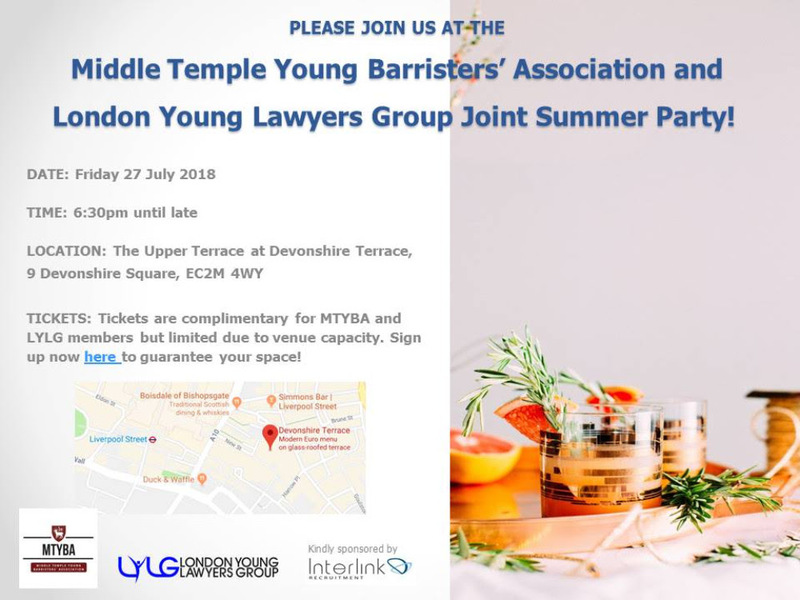 MTYBA and our equivalents at Inner, Lincoln's and Gray's have teamed up for a one-night-only* social between the four Inns' junior barristers associations. 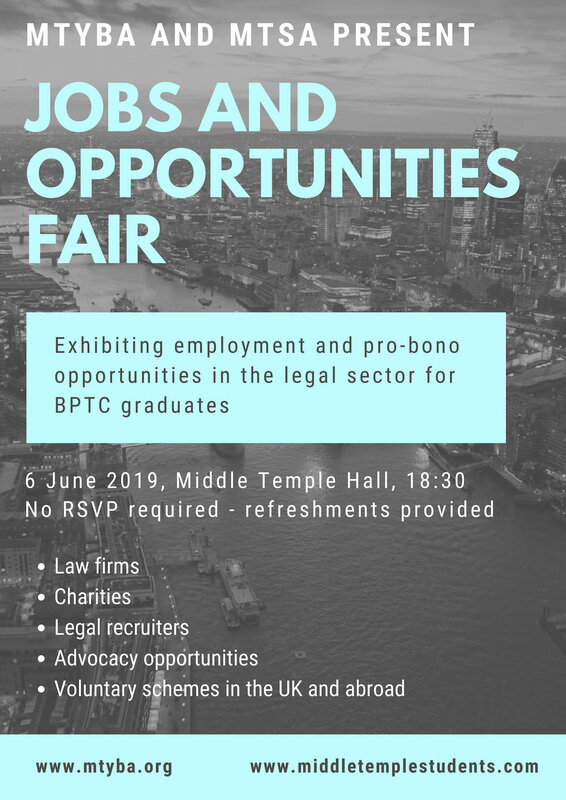 Come and meet your friends and colleagues from across the junior Bar. 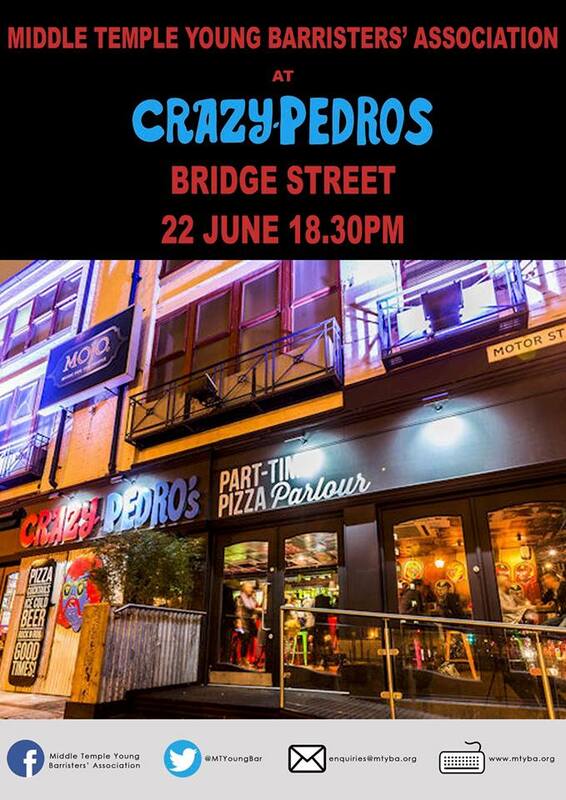 Gray's have kindly agreed to host this at their Bridge Bar, from 18:30. 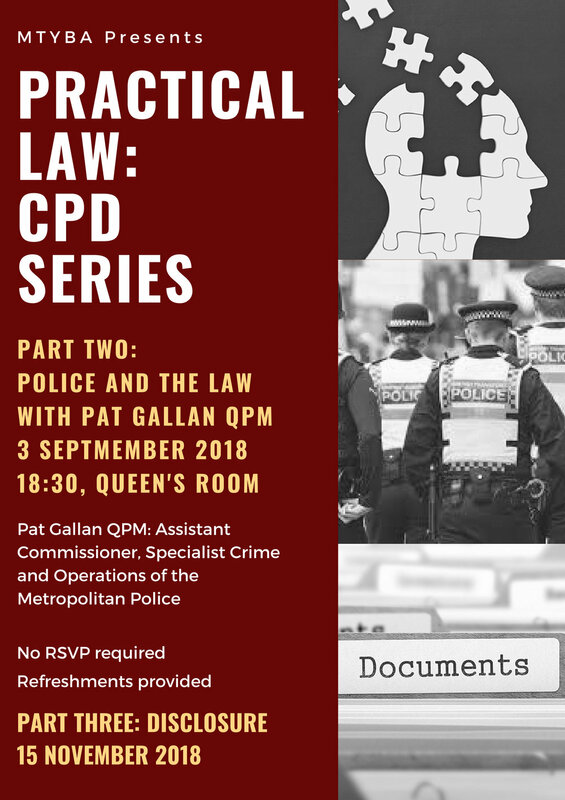 We invite everyone to attend the third and final of our CPD lecture series – this time on disclosure. Disclosure came to the centre of the public eye at the end of last year, when a number of serious criminal cases involving sexual offences collapsed due to issues with disclosure. We have organised a screening of this film on 4th July 2018.